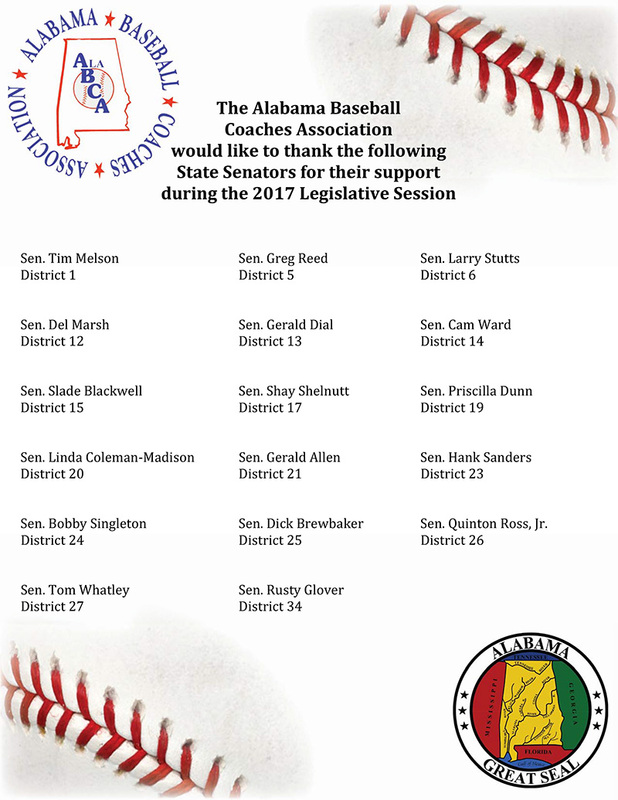 Thanks to the generosity of the 17 Alabama State Senators below, the ALABCA High School Head Baseball Coach Membership is at all all-time high of 227 Members! The money they appropriated to the ALABCA during the 2017 Legislative Session went towards Head Coaches ALABCA memberships in their districts. These Senators have come onboard to support the ALABCA’s Mission of Honoring, Educating and Promoting our states amateur baseball players & coaches, and the ALABCA is very thankful & honored to have their support. 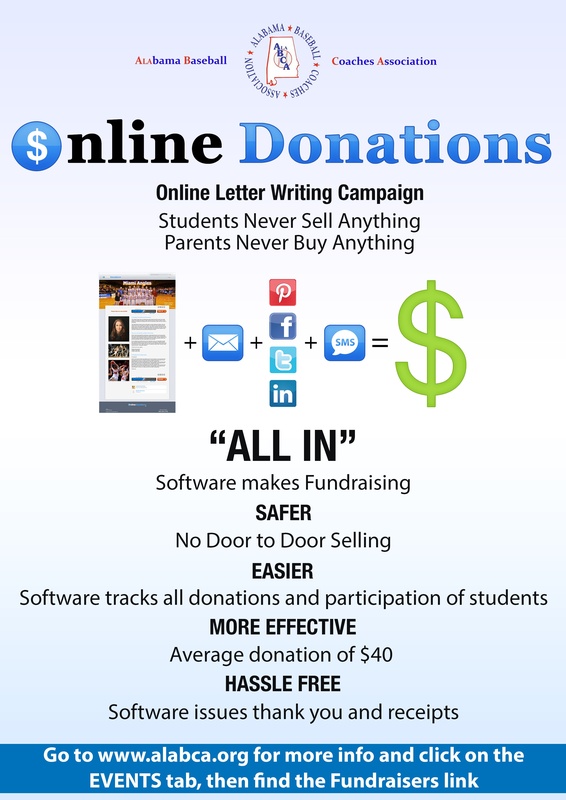 * The overall ALABCA 2017 – 2018 Membership is over 600 when including the Head College & Middle School Baseball Coaches, and Assistant High School and College Baseball Coaches, Professional Scouts and Travel Ball Coaches.